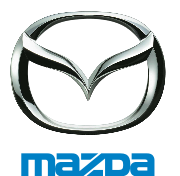 PT Mazda Motor Indonesia is currently growing at a fast pace since its establishment in 2006. We are currently hiring to expand our operation in order to maintain our competitiveness in best ownership experience, and strive for further growth in Mazda's brand presence in Indonesia. We seek high caliber individuals with strong passion, devoted to excellence in performance with high level of integrity, excellent interpersonal and communication skills, high level of business writing skills, must be able to perform daily communication and reporting, and who can work in team based environment to achieve common goals. Responsible in developing and delivering training modules related to systems, sales skills and interpersonal skills to serve sales training and sales process and system. Responsible in regular monitoring dealer, wholesaler and POP stock material and developing sales program for dealer base on management target. Responsible for assigned accounting functions for automotive company. Specific duties include processing accounts receivable and accounts payable; reconciling and reviewing expenses; communicating with vendors to resolve billing disputes; training and providing information on Finance & Accounting systems to other personnel; process all non sufficient fund checks; generating accounting reports and maintaining contracts. Responsible in supporting Human Resources and General Affairs team in order to provide a variety of programs and policies regarding employees and to provide general affairs support, addressing a broad variety of issues, maintaining files, create actions plan of HR & GA functions. Responsible in assessing internal control and ensured all operational activities in accordance with the company's policies and procedures as well as Government Regulations and conducting independent evaluation of the effectiveness and efficiency of management policies, procedures and controls; integrity of information; security over company's resources; compliance with applicable laws and regulations. You must have a strong passion to be part of Mazda Motor Indonesia's challenge to grow Mazda's brand presence in Indonesia. PT Mazda Motor Indonesia is a relatively a new company, and we seek high caliber employees with high levels of integrity, who can work in team-based environments and achieve common goals. An After-Sales Area Manager is required to support dealers to maximize the satisfaction of the Mazda vehicle owners and to expand the dealers' business opportunities. The person must improve the dealers' after-sales service operations and increase parts and accessories sales in cooperating with dealers.. This job also requires development of the after-sales marketing and parts logistics, and assistance of technical quality assurance to Mazda dealers. Excellent skills in presentation and reporting are required. After-Sales Marketing and Planning is required to plan and execute marketing activities to maximize "Customer Satisfaction" and "Parts and Accessories Sales". The person must have knowledge in dealers operations. This job also requires research and development of new accessories. Technical Service Specialist is to analyze field technical issues and support dealers solve technical difficulties. The person must have sufficient knowledge and experience in the automotive technical service area.